Me, a big Virgil Finlay fan, I don't remember ever seeing this illustration by my idol and biggest influence. It is perfect! 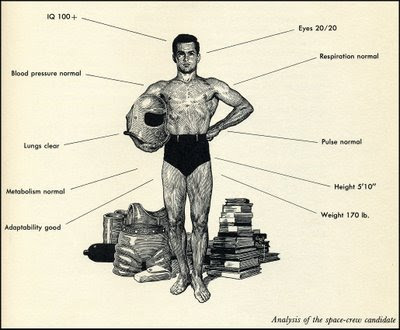 Showing the 1950's version of the ideal fit for a space traveler. 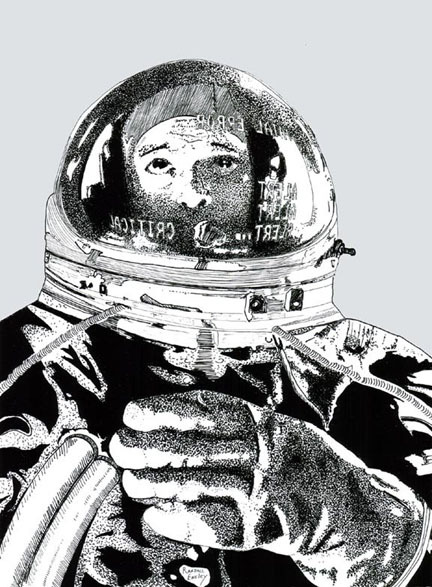 Love the books piled behind our intrepid astronaut.